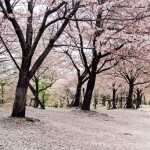 This slide show introduces the various sights of Keihanna Commemorative Park. Keihanna Commemorative Park was created to commemorate the construction of Keihanna Science City and opened to the public in April 1995 as a Kyoto Prefectural park. Keihanna Commemorative Park seasonal photos. 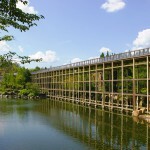 Suikei-en is a Japanese garden created as the cultural hub in Keihanna Science City. 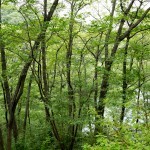 Mebuki-no-Mori is a forest in Satoyama landscape surrounding Nagatani Pond. Walking through the forest, visitors can enjoy nature in all four seasons. 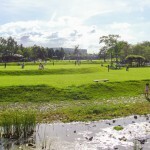 Hiroba is a large open space in the shape of rice terrace. Taniai (Valley) is an area representing the atmosphere of Satoyama. Visitor Center provides information about the park and the local areas. Various leaflets and information about plants and animals in the park are available. 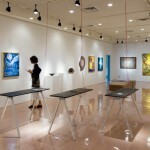 The "Tsuki-no-Niwa Gallery" is one of the cultural foundations at the Keihanna Commemorative Park. 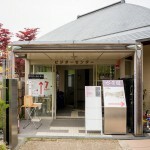 Located in the Suikei-en on the 1st floor of the Kangetsuro Hall. 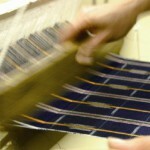 Saganaka Momen is the traditional textile from Saganaka, Kizugawa City. The museum features the history, climate and culture of Saganaka cotton.